The below paper by Robert Schütte – president of Genocide Alert – was published by the Friedrich-Ebert Stiftung New York in December 2011. Protection of civilians from mass atrocity crimes has emerged as a prominent field of international action. United Nations peacekeeping missions as well as armed forces of regional actors such AU, EU, ECOWAS and NATO have in the past conducted military operations with the objective to secure civilians threatened by violence. In the past decade, UN peacekeeping missions have played a pivotal role in protecting untold vulnerable communities from systematic human rights violations. Moreover, the resolute implementation of the so called responsibility to protect in Libya and Côte d’Ivoire in 2011 has underlined the principal feasibility of successful Mass Atrocity Response Operations. Despite these developments, little conceptual work has so far been accomplished on how to operationalize protection of civilians on the ground. Neither the UN nor NATO possess a comprehensive doctrine that guides the preparation, implementation and benchmarking of civilian protection missions. Bridging this conceptual gap will be essential to curbing systematic abuses of human rights and providing vulnerable populations with a modicum of human security. Protection of civilians from mass atrocity crimes has emerged as a prominent field of international action. Humanitarian actors and development workers have been and remain at the forefront of protecting civilians by non-coercive means. More recently, given the international community’s failure to act and intervene in situation such as the genocides in Rwanda and Bosnia, the military dimension of protecting non-combatants has gained in importance. Two different operational types of robust civilian protection can be identified: On the one hand, Peacekeeping missions under a chapter VII mandate such as those in the DRC, Sudan or Côte d’Ivoire. On the other hand, Mass Atrocity Response Operations (MARO) conducted by the armed forces of a state or regional organization such as NATO or ECOWAS, e.g. in Sierra Leone, Kosovo or Libya. Despite a surge in such coercive protection activities, there is still a notable gap in terms of conceptualizing protecting of civilians. The present paper examines the state and challenges of military civilian protection. In a first section, the work examines the normative and practical development of civilian protection since the end of Cold War. The second section reviews how the protection of civilians has been implemented in peacekeeping operations and MAROs. The third section analyzes present challenges and shortcoming in coercively protecting civilians. Finally, section four looks into how existing gaps could be bridged by investing more effort into a through conceptualization civilian protection from the standpoint of both Peacekeeping Missions and MAROs. The end of the Cold War led to the intensification of a range of global governance activities. Compared to the previous superpower deadlock, the most consequential transition occurred in the field of international security. Freed from the obstructive shackles of the US-Soviet competition, the UN Security Council agreed on far-reaching military operations under Chapter VII to enforce the will of the international community. What is more, the Security Council’s role of safeguarding international peace and security became increasingly understood to cover not only inter-state disputes, but also matters of a non-international character such as civil wars or grave breaches of International Humanitarian Law (IHL). The extension of the council’s scope paved the road to UN-mandated military interventions in Iraq and Somalia, as well as UN-enforced peacekeeping operations in Bosnia and Rwanda, just to name a few. Never has the UN been more active than during the decades after the breakdown of the Soviet Union; never was the promotion of democracy and human rights higher on the international agenda. Yet the enthusiasm of the early 1990s quickly dwindled after a series of failures. The U.S.-led humanitarian intervention in Somalia collapsed after American casualties prompted a hasty withdrawal of U.S. forces. 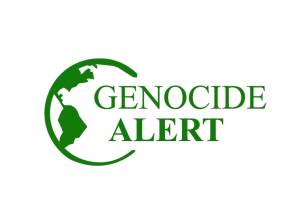 In Rwanda, the United Nations stood idly by while approximately 800.000 Tutsis and moderate Hutus were slaughtered by Hutu militias in the world’s swiftest genocide to date. The UN’s incapacity to avert mass atrocity crimes against unarmed civilians was further highlighted by its peacekeeping mission to Bosnia which was unable to provide even a modicum of security for the population, and whose hesitation, eventually, cleared the way for the Srebrenica genocide in one of the UN’s unsafe ‘safe havens’. The shock that came with the genocides in Rwanda and Srebrenica caused the UN to rethink its approach to sending blue helmets in the midst of conflict zones. In two landmark reports published in 1999, the UN found two lessons to be learned in the future: First, it stated that “whether or not an obligation to protect civilians is explicit in the mandate of a peacekeeping operation, (…) the United Nations must be prepared to respond to the perception and expectation of protection created by its very presence.” Second, it argued that “when the international community makes a solemn promise to safeguard and protect civilians from massacre, then it must be willing to back its promise with the necessary means.” Rwanda and Srebrenica made clear that protection of civilians (POC) will not come as a sideline to lightly-armed and under-resourced peacekeeping. A new approach was needed. From 1999 onwards, major normative and practical innovations found their way into the global governance architecture and set the stage for an improved protection of civilians in armed conflicts. The Brahimi report of August 2000 took up many of these concerns and outlined a way forward towards a more robust peacekeeping but did not give any definitive answers on how to improve civilian protection. This question would be up to succeeding international commissions and the UN secretariat. The unauthorized but eventually successful military operation of NATO to rescue the civilian population of Kosovo from a campaign of ethnic cleansing galvanized opinions as to the sense and righteousness of humanitarian interventions. This involvement of NATO – laconically coined “illegal but legitimate” – highlighted the urgent need for a recalibration of the relationship between state sovereignty and human rights. When UN Secretary-General Kofi Annan called for the finding of a new normative common ground, Canada followed suit and hosted an influential International Commission on Intervention and State Soverreignty (ICISS) which eventually introduced the notion of the responsibility to protect (RtoP) in 2001. Despite the calamities surrounding NATO’s intervention in Kosovo and the disunity in the Security Council, there were also occasions when the Council did take unanimous action to better protect civilians in armed conflicts. 1999 marked the birth of the first UN peacekeeping operation with an explicit mandate to protect civilians. In its resolution 1270, the UN Security Council decided to establish the United Nations Mission in Sierra Leone (UNAMSIL) and authorized the operation to “afford protection to civilians and imminent threat of physical violence (…) within its capabilities and areas of deployment”. It is important to bear in mind the caveats which the Security Council purposefully included into the mandate. They limit the mission’s scope and area of operations, and were meant to avoid exaggerated expectations regarding the blue helmets capacity to provide more than residual and situational protection. Nonetheless, UNAMSIL heralded the beginning of a new era in which the protection of civilians would soon become an integral part of most UN peacekeeping operations. Besides the foundation of the International Criminal Court (ICC) in 2002 constituted another major achievement for the ending of impunity for mass atrocity crimes, the development of the responsibility to protect and its unanimous adoption by the UN General Assembly in 2005 were important steps towards a new global common ground on mass atrocity prevention. Although the norm itself did not add anything new to existing Human Rights or International Humanitarian Law, it did have the effect of reaffirming unquestionable minimum standards of civilian protection, and codifying the responsibilities of the international community and its member states towards threatened populations. Once proclaimed, the RtoP underwent a process of cautious elaboration and consensus-building through high-level debates and references in UN resolutions that finally lead to the UN Secretary-General’s 2009 report on implementing the Responsibility to Protect. Confronted with egregious human rights violations in Libya, the Security Council decided in Resolution 1973 for the first time to mandate a military intervention under the banner of the RtoP “to take all necessary measures (…) to protect civilians and civilian populated areas under threat of attack”. The Libya intervention marks a turning point in the international community’s efforts to curb mass atrocities by assuming a responsibility to protect civilians. Already before this breakthrough of RtoP, UN peacekeeping operations were making practical contributions benefiting the protection of civilians. Sierra Leone was only the first of a number of missions mandated to „protect civilians under imminent threat“. By the end of 2011, eight UN peace missions around the world conduct a broad array of activities aiming at providing security for non-combatants. In fact, the protection of civilians has been adding another layer of complexity to the contemporary, multidimensional peacekeeping operations that furthermore also entail tasks as varied as security sector reform, repatriation of refugees and the support of elections. The United Nations Organization Stabilization Mission in the Democratic Republic of the Congo (MONUSCO) as well as the United Nations Mission in Darfur (UNAMID) are cases in point for the grown complexity of today’s peace operations. Normally, civilian protection makes headlines when massacres have occurred or UN peacekeepers have failed to curb violence against innocents. It is unfortunate that the important role of blue helmets in protecting local populations is often overlooked. This bias is distorting a reality in which robust peace operations actually do make a big difference and provide security to innumerable vulnerable communities. In very general terms, civilian protection through robust peacekeeping can be divided into three broad approaches: Protection by deterrence, by prevention and by engagement. Protection by deterrence means that the very presence of blue helmets is in most cases sufficient to deter attacks on civilians and boost physical security in a given area of operations. While militias – mostly in bad shape and ill-equipped – shun direct confrontations with well-armed professional blue helmets, national authorities shy the exposure and the reporting of assaults. A peacekeeping mission’s capacity to deter direct violence against civilians is to a large degree a function of two factors: First, its presence in endangered regions and second, its credibility to interfere, if needed by force, to curb violence against non-combatants. It is for this reason that the peacekeepers’ capability to gather and process intelligence is as important as their number, equipment and posture. Besides protection by deterrence, UN peacekeeping operations set a great value on protection by prevention such as supporting Security Sector Reform as well as monitoring and reporting of human rights breaches, which also have an important impact on civilian security. If preventive and deterring measures prove insufficient to protect civilians in some rare yet noteworthy cases UN missions have resorted to the offensive use of force. This approach of protection by engagement was most recently used by UNOCI in 2011 to end attacks of pro-Gbagbo forces on the civilian population in Côte d’Ivoire; equally MONUC has successfully protected the local population of Bukavu in 2006 by resolutely using attack helicopters against militias, forcing the latter to abort their assault and withdraw. However, despite many successful instances of protection by engagement, some fear that the UN might be crossing a line by becoming a party to a conflict. A distinct type of international efforts in protecting civilians is military humanitarian intervention which, for the sake of terminological and political adequacy, might be called Mass Atrocity Response Operations (MARO). NATO’s interventions in Kosovo 1999 and Libya 2011 figure amongst the most prominent and complex MAROs. Two major differences between these two MAROs and UN peacekeeping operations can be determined: First, the Kosovo and Libya interventions were almost exclusively conducted through the use of air power, supported seaborne, and excluded the deployment of any major ground forces. While missions that are predominantly airborne have dramatically reduced the risks to NATO soldiers, this politically more convenient form of operation comes at the cost of diminishing the effectiveness of civilian protection. Second, MAROs step in with a much more robust, pro-active and offensive posture than UN peacekeeping operations do. While the establishment of protected safe havens and deterrence of atrocities is part and parcel of any civilian protection operation, the crushing of perpetrator forces with the aim to incapacitate any further assaults on civilians plays a much more decisive role than in peacekeeping. MAROs need not necessarily be airborne, but can have substantial ground force components: ECOWAS’s 1997 intervention in Sierra Leone, the Australian-led INTERFET operation in Timor L’Este in 1999, Britain’s intervention in Sierra Leone in 2000, as well as the European Union’s operation Artemis in Bunia (DRC) in 2003 are examples of MAROs with a footprint on the ground. All these missions were successful in curbing mass atrocities occurring in their respective areas of operation by resolutely exploiting their superiority in weaponry, training, command, control, communication, computer and intelligence assets against ill-disciplined and outgunned enemies. If intervening forces enjoy a significant margin of superiority in terms of capabilities and resolve, MAROs have indeed proven to be effective in protecting civilians from mass atrocities. Despite the surge in international efforts to protect civilians over the past two decades, no consensus has emerged on how exactly protection by coercive means should be implemented. While the UN Security Council is increasingly willing to authorize robust peacekeeping operations to protect civilian populations, neither the UN nor Troop Contributing Countries have had any clear idea what exactly protection of civilians entails. POC is one of the most important objectives of peacekeeping since its inception in 1999, but the UN is still in the process of producing a coherent concept on how blue helmets should conduct and benchmark their protection activities on the ground. The conceptual ground work to date is a Lessons Learned document on civilian protection as well as a so-called Concept Note on POC produced by the Department of Peacekeeping Operations and the Department of Field Support that problematizes a number of issues but lacks substantial guidance and a definition on what protection means. Moreover, UN WOMEN has provided an equally useful guide to preventing gender-based and sexual violence. This works is essential and needs more support but still falls short of a coherent POC doctrine. The conceptual gap comes at a cost: As long as there is no consensus about what POC actually means, any meaningful instruction of troops in civilian protection is difficult. As a consequence, pre-deployment training and preparation to protect civilians will remain sketchy and leave troops with a task they are not adequately prepared for. Without appropriate training and guidance, the implementation of civilian protection hinges on mission commanders‘ individual leadership and interpretation of their mandates. Should blue helmets only interfere in cases of pending or ongoing assault on an unarmed person, or may armed force also be used offensively to neutralize armed groups known to harass civilians? Does protection only encompass the provision of security to persons, or should blue helmets also step in to stop the looting of essential livestock? The doctrinal gap has practical ramifications for troops and civilians on the ground: For instance in May 2011, militias backed by the government of North-Sudan pillaged and ‘ethnically cleansed’ the town of Abyei while the local United Nations Mission to Sudan (UNMIS) contingent retreated to their compound. Another difficulty is striking a reasonable balance between force protection and civilian protection. While some contingents are conducting regular unannounced day-and-night foot patrols in hazardous terrain with the aim to maximize their deterrence impact and keep militias off balance, other contingents have shrunk from taking any risks. Passive postures that prioritize force protection over POC, e.g. by conducting announced day patrols in Armored Personnel Carriers, have no positive protection impact on local populations. Passive postures can be due to reasons such as caveats of Troop Contributing Countries, individual commanders’ lack of resolve, inadequate training and motivation etc. A one-sided focus on force protection undermines any peacekeeping mission’s deterrence capacity, and hampers the gathering of intelligence because mission personnel cannot communicate with the population and learn about security issues. The bottom line is that many blue helmets have a hard time figuring out what is expected from them because it is not unequivocally clear how protection of civilians should be conducted. A further obstacle to effective civilian protection can be contradictory mandates, missing equipment and lacking benchmarking. As for the former, the UN’s operation to the DRC called MONUSCO is a case in point. The mission is not only tasked to protect civilians but also to support the country’s national army that is itself responsible for most human rights violations against civilians. In this case, the blue helmets find themselves between a rock and a hard place because the UN Security Council has endowed them with a contradictory mandate. Moreover, insufficient equipment, ranging from missing satellite phones to lacking helicopters, can be a huge problem for two reasons: On the one hand, because it obstructs the mission’s capacity to carry out its job; on the other hand, because it leaves the impression that a mission does not enjoy sufficient political backing. Both factors understandingly undermine the morale and commitment of blue helmets to put their lives on the line for the protection of threatened civilians. However, even if missions can employ effective protection strategies, a lack of evidence-based benchmarking encumbers the elaboration and transmission of good practices across different missions. To date, no UN peacekeeping operation systematically benchmarks its own performance in protecting civilians. For example, polling amongst affected populations would be one amongst a couple of options to get a better picture of mission performance but is rarely being done. As a consequence, peace operations can to date neither assess nor verify their impact on civilian security. If the UN’s conceptual understanding of civilian protection is deemed sketchy, NATO’s approach to civilian protection in Libya can only be described as ad hoc and opaque. With its resolution 1973, UN Security Council authorized NATO “to take all necessary measures (…) to protect civilians and civilian populated areas under threat of attack”. The resolution granted the coalition forces much flexibility insofar as all necessary means – explicitly comprising armed force, excluding only occupation forces – could be brought to bear for the purpose of protecting threatened civilians and civilian populated areas. According to this interpretation, a Libyan military unit may not have fired a single round but still be a threat to a civilian populated area and, therefore, be a legitimate target for allied airplanes. Moreover, Libyan air defenses and command and control installations have been qualified as legitimate targets given that they could either contribute to the threatening of civilians and civilian populated areas or endanger the implementation of the no-fly-zone over Libya. It is indeed difficult to conceive of any military asset under Gaddafi’s control which could not potentially have fallen under the above criteria. Despite its broad leeway in interpreting and implementing the Security Council’s mandate, NATO’s intervention did face practical restraints: First, the alliance was keen to prevent any collateral damage. Under the laws of war, civilian casualties are permissible as long as an attack has been conducted in a discriminate and proportional manner. However, the humanitarian character of the Libya intervention implied that NATO had to be held to significantly higher standards than those prescribed by International Humanitarian Law. Prima facie evidence suggests that – despite some incidents to the contrary – NATO has abided by these self-imposed high standards, e.g. by calling off strike sorties which, although legal under the terms of IHL, were deemed too dangerous for civilians. Second, the alliance was only authorized to apply all necessary means to protect civilians and civilian populated areas. While any objective definition of military necessity is already problematic in the context of a conventional armed conflict, defining necessity in the context of a MARO is even more difficult. This suggests that in the context of a MARO, the standard of military necessity should be higher than in a regular armed conflict. The lack of an applicable POC doctrine defining who should protect whom when and by what means will make it difficult to find a consensus on how interventions should be conducted. The dispute among Security Council members about NATO’s interpretation of resolution 1973 and how it has conducted its military campaign was in part due to this unsettled issue. This disagreement also included the question if regime change was indeed necessary to protect civilians. The United Nations and its many agencies look back at many years of experience and expertise in protecting civilians. Compendia on best practice and lessons learned in POC do exist and should be used as a starting point to develop a comprehensive UN-wide POC doctrine that explicitly spells out the role of civil and military components in safeguarding local populations. Despite hesitations to tackle the politically sensitive issue of defining protection of civilians, a POC doctrine would be a major step to streamline protection activities, pre-deployment training and evidence-based benchmarking at the UN. The doctrine would facilitate the development of adequate civilian protection training modules and allow for more specific instructions on how UN peacekeepers are expected to protect civilians prior to their deployment. Once on the ground, conduct and performance of blue helmets would be more consistent, reliable and adequate. Furthermore, a comprehensive concept of protection would make it possible to develop evidence-based and comparable benchmarking criteria to measure mission performance and facilitate the transfer of best practices across operations. Although indeed different in character and objective, robust UN peacekeeping operations could learn from experiences made in Counter Insurgency (COIN) operations in Iraq and Afghanistan. In contrast to the literature on peacekeeping operations and POC in particular, there is a wealth of theoretical and practical works written on the subject of fighting asymmetric warfare and securing civilian communities. Moreover, recent COIN campaigns have stressed the protection of local populations as a centerpiece of their efforts and developed a wealth of practices that could be useful for UN peacekeepers as well. For example, NATO forces in Afghanistan have devised useful metrics on measuring the security of civilians that could easily be adapted to UN peacekeeping needs and fill a painful void. Rapid reaction Mass Atrocity Response Operations face specific challenges that are different from regular military conduct and peacekeeping. The development and incorporation of a veritable MARO doctrine would help anticipate such challenges by improving awareness, training, conduct and benchmarking of future interventions. The Carr Center for Human Rights Policy at Harvard’s Kennedy School of Government has published a path-breaking report on how successful MAROs – with light or heavy footprint – should be planned and launched. One of the principal lessons is that MAROs cannot rely on standard military doctrines and procedures but are subject to different logics. For example, humanitarian military operations need to deploy as fast as possible to break the momentum of ongoing mass atrocities. Moreover, it would be useful to study to what extent predominantly airborne MAROs such as the NATO-led interventions in Kosovo and Libya can most effectively contribute to the protection of civilians. Given NATO’s current aversion against risking any military casualties, it is reasonable to expect that future MAROs will most likely be mainly airborne rather than full-fledged interventions with ground force. If Western-led land invasions are no longer at the order of the day, it does make sense to examine alternative ways to launch MAROs. The increased use of unmanned aerial vehicles, hitherto used in the context of anti-terror operations, could become an option to monitor and control areas affected by mass atrocities, and if necessary take out marauding militias. In contrast to manned aircrafts, the capacity of drones to spy out and hit potential targets with both much greater accuracy and much less danger to civilians would be a boon in conducting a MARO under adequately tight rules of engagements. The Libya intervention – relying heavily on the use of unmanned aerial vehicles – has highlighted that coercive POC from above is possible thanks to modern weapons systems, although we have to bear in mind that this approach profited from the country’s favorable topography. If, by contrast, Libya would have been situated in a heavily vegetated terrain with jungles or dense forests, NATO’s strategy to use its air force to protect civilians would have been much more difficult.